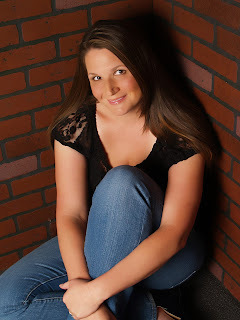 Katie is the author of full length YA novels, PUSHING THE LIMITS, DARE YOU TO, CRASH INTO YOU, TAKE ME ON, BREAKING THE RULES, NOWHERE BUT HERE and WALK THE EDGE and the e-novellas, CROSSING THE LINE and RED AT NIGHT. Her debut YA novel, PUSHING THE LIMITS was a 2012 Goodreads Choice Finalist for YA Fiction, a RT Magazine's 2012 Reviewer's Choice Awards Nominee for Young Adult Contemporary Novel, a double Rita Finalist, and a 2013 YALSA Top Ten Teen Pick. DARE YOU TO was also a Goodreads Choice Finalist for YA Fiction and won RT Magazine’s Reviewer’s Choice Best Book Award for Young Adult Contemporary fiction in 2013.